Welcome to the Crossroads Region! It is the year 2364. The Tainted Sea continues to recede, exposing patches of the former megalopolis of Los Angeles. 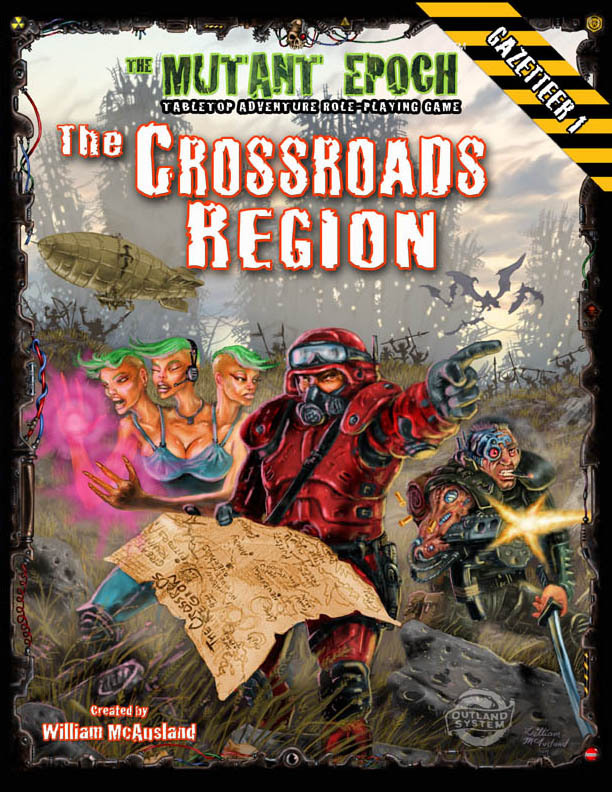 Few areas in the brutal world of The Mutant Epoch are so densely populated nor so embroiled in factional warfare as The Crossroads Region. Here, your heroes will explore old war zones, ruined cityscapes, reef-locked relic ships, stinking bogs and toxic bomb craters. Seek the bounty on the dreaded outlaw-cannibal Appro-Mortica, recharge your power cells at Array, avoid the deviant hunters of the Holy Purist Empire, and dodge the Mutant Supremacists of Aberratia as your dig team travels forest road. At the end of the day, you and your comrades can wash away the grave dust of the ancients with a pint of beer in the bars and saloons of dozens of towns. But even in the scrap and concrete confines of human settlements, keep one eye open, as the abode of men can easily be as deadly as the post-apocalyptic wilderness. Herein, the fortified excavator’s town of Pitford resides, as well as the village of Walsave from the Mall of Doom adventure. Several upcoming TME adventures are also set in this region. 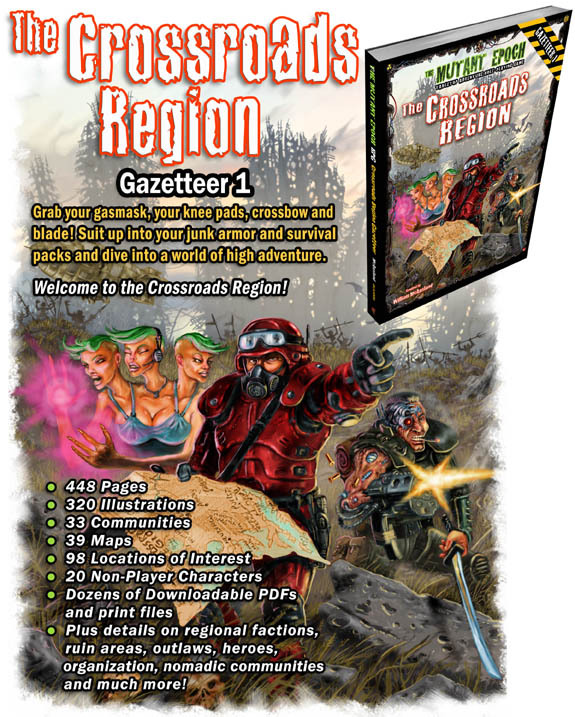 Designed to connect with other upcoming gazetteers, this territory sits directly above uncharted zones meant to be created by the game master. No further settings will be published which document the areas south of the Crossroads Region, and instead future books will only describe areas, north, east and west. 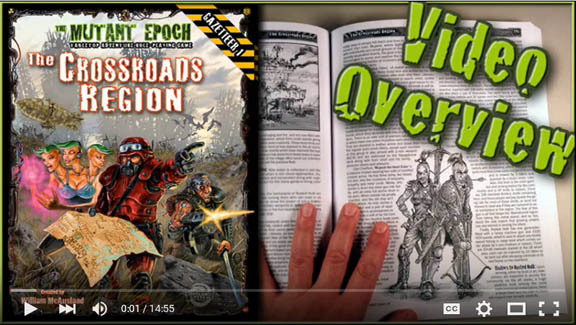 • Plus details on regional factions, ruin areas, outlaws, heroes, organization, nomadic communities and much more!